Retreading is a tyre reconditioning process, which extends the economic life of tyres and is an important part of our business. As the tyre construction has been produced to be capable of more than one life, to use this potential by replacing the worn tread makes sound environmental and economic sense. Our experience and expertise in this field is especially valued by our customers because it “saves” therefore prolongs the “lives” of their tyres until the use of the remaining tread. 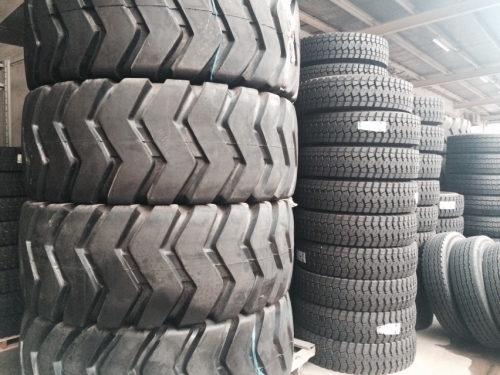 Our highly-trained personnel and state-of-the-art equipment enable us to retread tyres of trucks, buses and all commercial vehicles in both Hot and Cold processes. These retreaded tyres provide our customers an excellent way to save money, and are practical and efficient forms of recycling. Following the international standards of the retreading process, our experienced personnel inspect tyres carefully from the initial to the final stages. It has been our greatest challenge to promote appropriate rubber compounds and treads pattern that can offer better value and more strength. As a result, producing reliable retreads that have good characteristics in mileage, heat dispersion and traction – a characteristic of all our retreaded tyres.